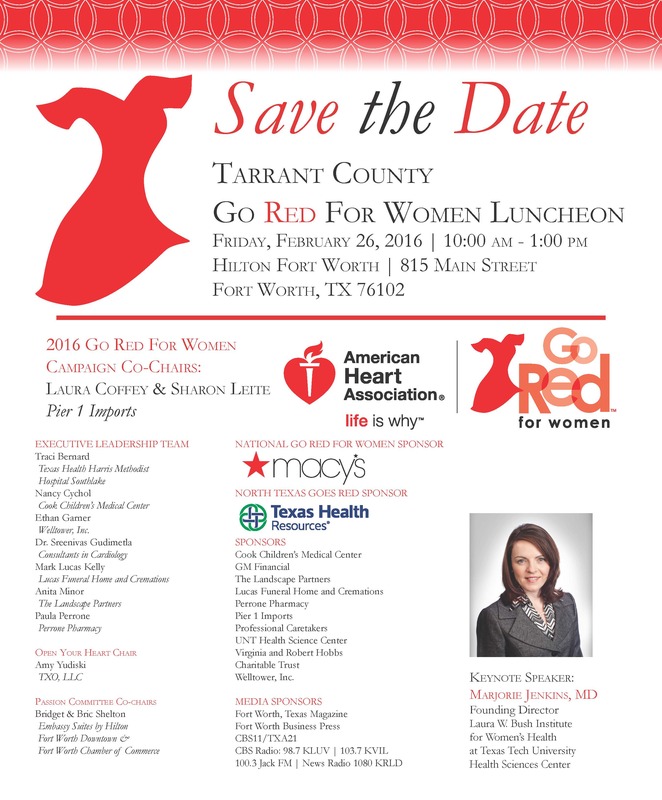 “Go Red For Women” luncheon. This is an impressive lunch and learn experience that you don’t want to miss. Save the date–February 26, 2016.